Starting 3rd June 2019, Air Europa will be launching a new route to Panama operated by the Boeing 787 Dreamliner aircraft. Its abundant natural resources as well as its rich cultural and historical background make Panama the perfect destination for nature and sports lovers. Its amazing beaches with crystal-clear water also make it a great destination for those wishing to relax and unwind. Mostly known for the Panama Canal, the country isn’t only a major world trade hub but also a melting pot of cultures. 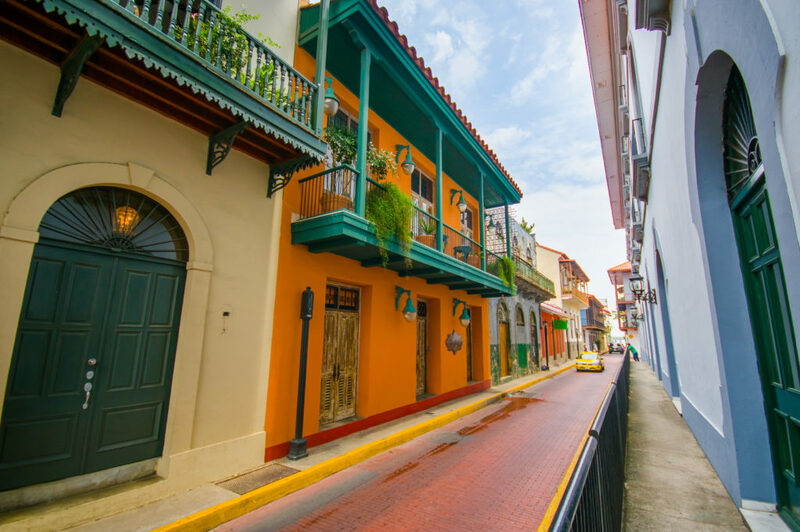 Keep on reading to find out more about all the must-see spots in Panama! Considered one of the wonders of the modern world, the Panama Canal is without a doubt one of the main must-see spots in the country. The locks lower vessels 30 feet to Miraflores Lake, to then pass through a channel almost 1.2 miles long to the two-stepped locks at Miraflores, where they are lowered to sea level. The final segment of the canal is a dredged approach passage 7 miles long through which ships pass into the Pacific. You will also find the Panama Canal History Museum, devoted to the history of the construction of the Panama Canal in its various stages. Travelling to Panama? While there are many points of interest and landmarks to be seen, the Old Quarter is one of the main highlights without a shadow of a doubt. There, you will find a large selection of restaurants and pubs all along its winding streets, as well as the best nightclubs. The city’s grand old colonial houses and crumbling pastel facades, which atmosphere reminds us of Havana or the French neighbourhood of New Orleans, have become some of the capital’s most stylish addresses. We highly recommend Spanish Chef Andrés Madrigal’s Ego y Narciso Restaurant, whose Latin American dishes will delight you. Donde Jose Restaurant, which serves gourmet Panamanian food, is another must-try. Bon appétit! Also located in Chiriqui is the city of Boquete, which attracts visitors wishing to relax and unwind. It is considered to be the greenest area in Panama, with the frequent misty rain which keeps everything green. Lovers of adventure tourism will be happy to hear that the city has many activities to offer. The main highlights include the Path of the Quetzals and the El Pianista Trail, from which visitors can see the Caribbean Islands and the Pacific Ocean. Other fun activities include zip-lining, rafting, bicycle tours, bird watching, or even coffee plantation tours – you’ll never get bored in Panamá! One of the country’s greatest assets is its beachfront. Indeed, Panama is formed by two long coasts and several clusters of islands, which means tourists get to explore and relax at many different beaches. The country is full of wonders on both its Pacific and Caribbean coasts, but one of its must-see spots is Bocas del Toro. This archipelago is located to the northeast of the country, and its most visited islands are Isla Colón and Isla Bastimentos. If visiting Isla Colon, you must stop by Starfish Beach and Bluff Beach: its fine, golden sand and strong ocean currents make it the perfect spots for surf lovers. If peace and quiet is what you’re looking for, you will love Isla Bastimentos. Composed almost entirely of dense jungle, the island has no cars, roads, nor an airstrip. Wildlife on the island includes monkeys, turtles, sloths, and frogs. Red Frog Beach, one of the most famous beaches in the island, owes its name to the numerous amount of small red frogs running through the beach and is one of the many must-see spots in the country. We also strongly recommend you to visit the Nivida Bat Cave, which lies within the borders of the Parque Nacional Marino Isla Bastimentos, and if you’re lucky, you’ll even see some sloths along the way! Another fun excursion not to be missed is Zapatillas Key in Boca del Toro. There, you will find white sand beaches and mangrove islands full of sea life. Scuba diving, snorkeling or simply swimming are some of the activities available in the area. Relaxation in its purest form! 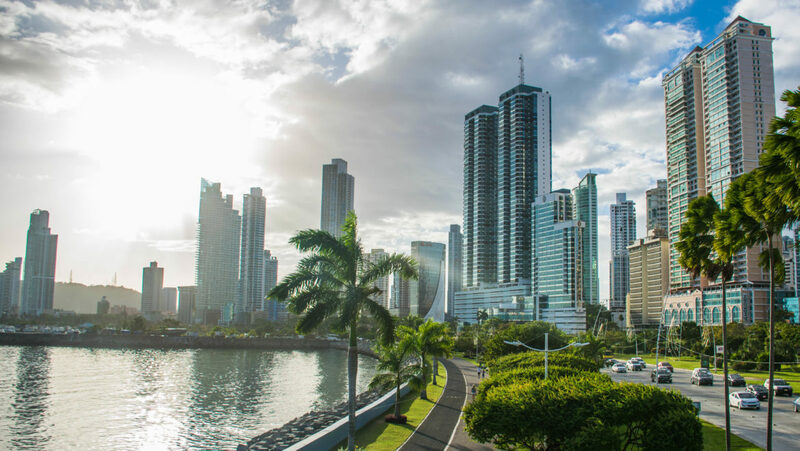 Starting 3rd June 2019, Air Europa will be launching its new route to Panama. This route will be operated by our 787 Dreamliners on Mondays, Tuesdays, Wednesdays, Fridays and Sundays. It will depart from Madrid Barajas Airport at 15:05 and arrive at Tocumen International Airport in Panama at 19:40. Passengers departing from London can benefit from convenient connection times, with the London – Madrid morning flight departing at 10:10 and arriving at Madrid Barajas Airport at 13:35. Book your flight to Panama today and share your experience with us!